Brotherhood is the official website of La Salle College F.7 Graduation Dinner 2010. It serves as a platform for users to post messages and photos. 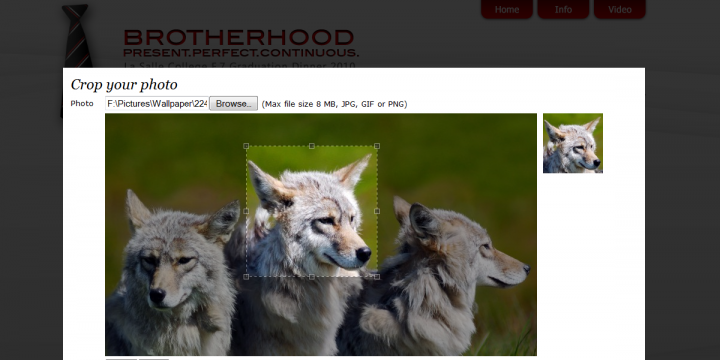 The system allows users to crop their uploaded photos right on the web browser.